I'm not sure when it happened...but I have fallen in love with Twitter. No matter what I am looking for online, it seems that someone knows where to find it. 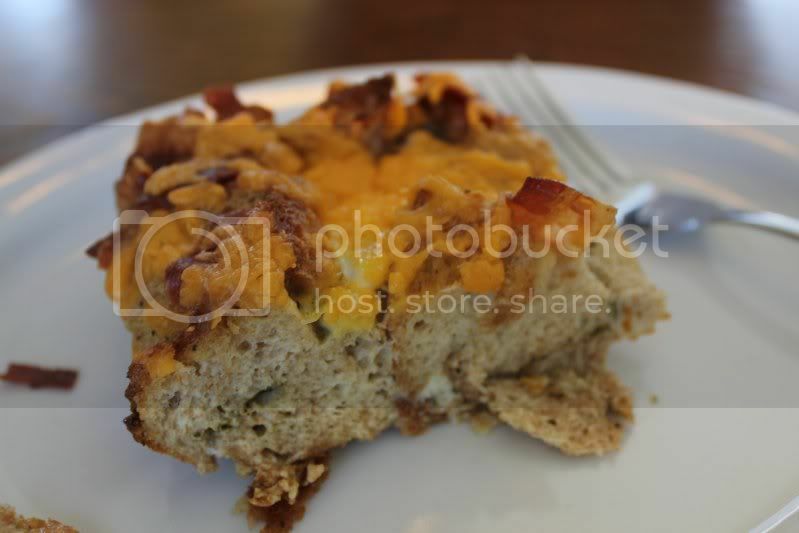 When I tweeted this morning that I was on the hunt for a yummy breakfast casserole - @wendyamarie was super gracious to share her: Bite Size Sausage Casserole recipe. Since I didn't have sausage on hand, I had to improvise with bacon. 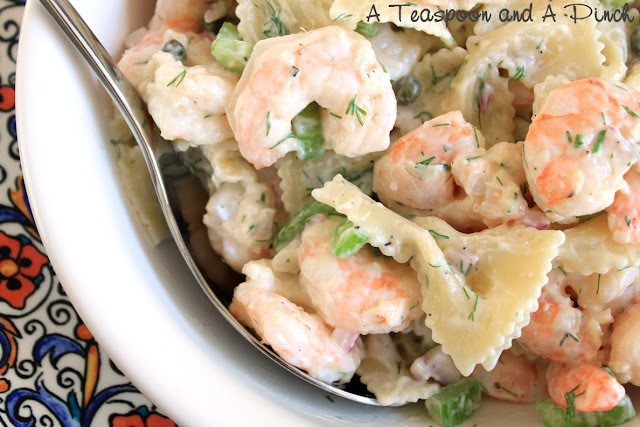 I loved the mix of herbs and eggs...so yummy and super simple to put together. 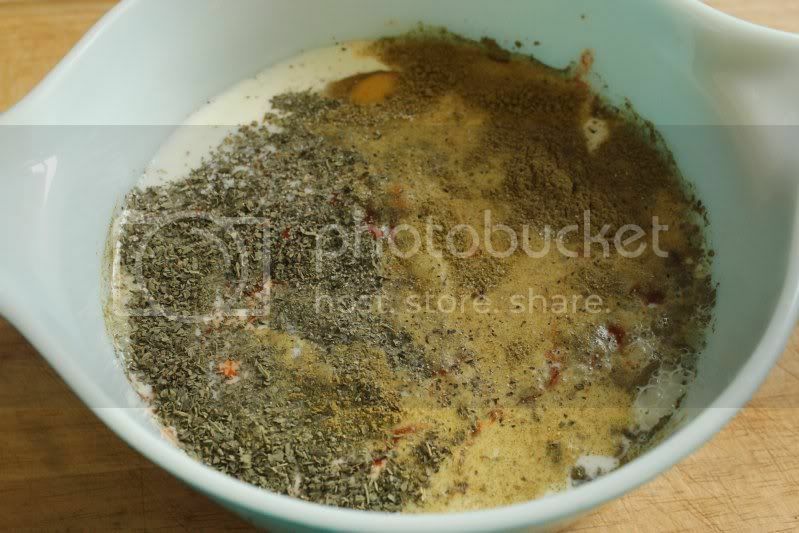 Whisk together: 2 cups of milk, 6 eggs, 1 tsp dried oregano, 2 tsp dried basil, a couple dashes of hot sauce and salt/pepper to taste. 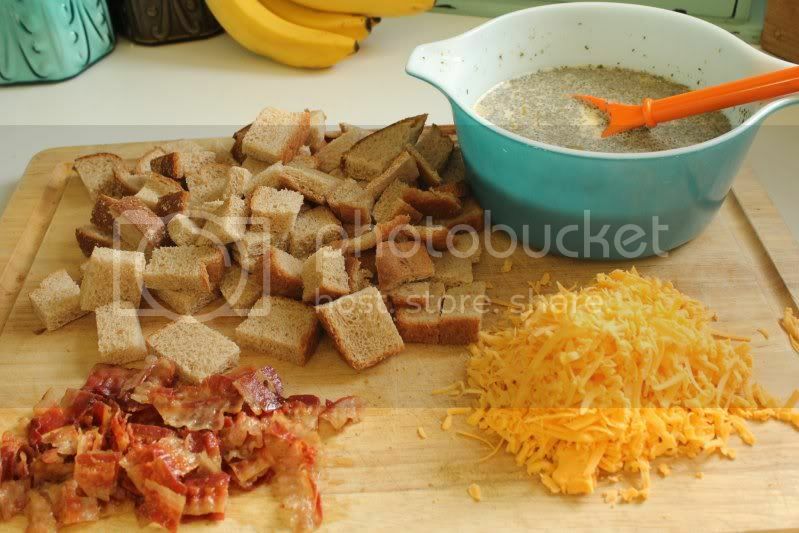 Cube 6 slices of bread, cook 10 slices of bacon and shred 1 cup of cheese. 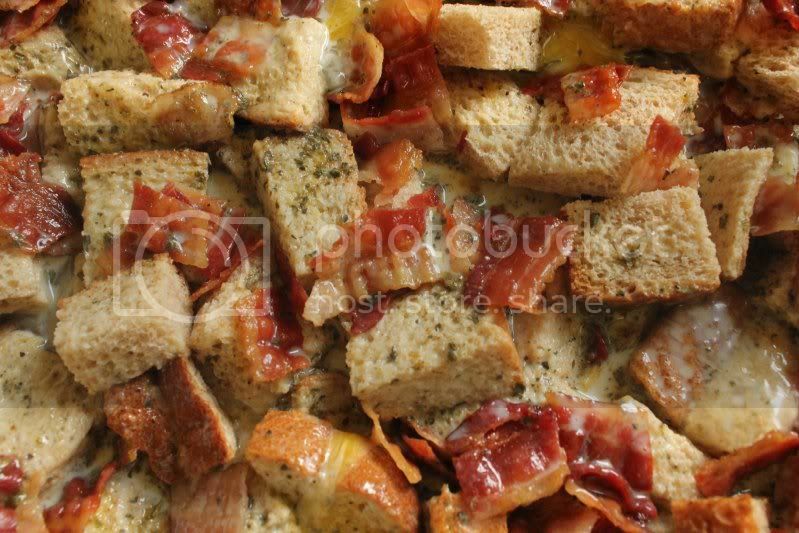 Layer in 9 X 13 dish: 1/4 cup of butter, cubed bread, bacon and egg mixture. Make sure to give the eggs a good stir to evenly distribute herbs right before adding to casserole dish. 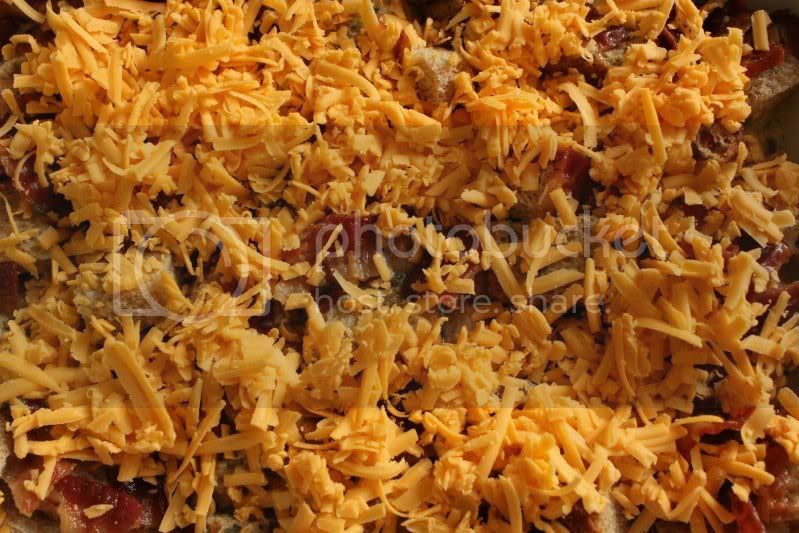 Top with cheese and bake for 25 minutes in 400 degree oven. Allow to cool for 5 minutes before cutting into squares. Just had to share my Spring Flowers...picked them up with my groceries. 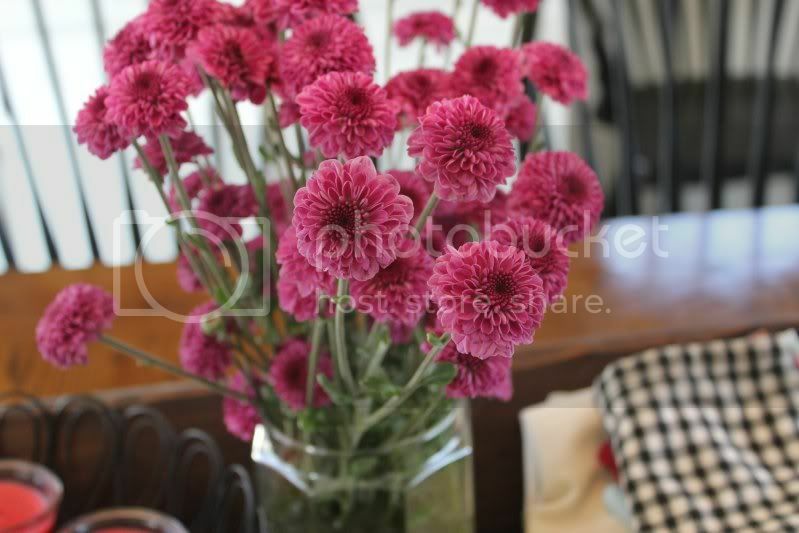 I love the touch of color and cheerfulness they add to my table. 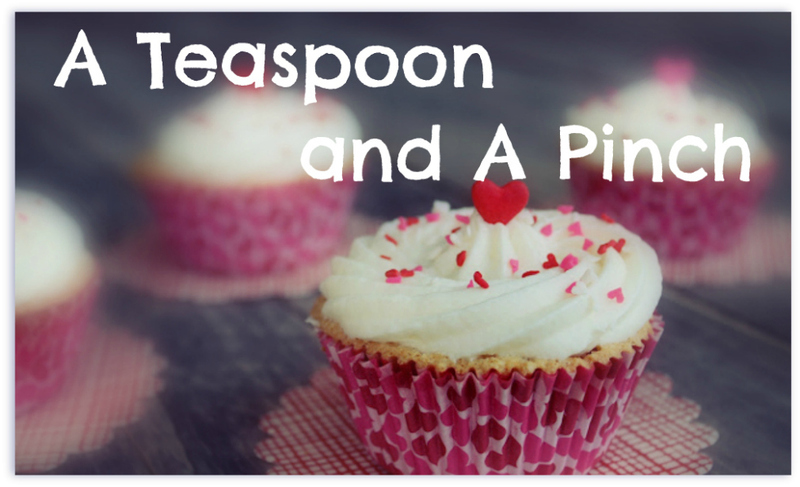 They are just stuck into a water filled plastic canister.